I don’t miss the sting of the Jack Spaniard wasp. It was always a terrible surprise. The electric pain faded fast, but the swelling and itching lasted for days. I was once told that putting some urine on a Jack Spaniard sting would neutralize the poison. Was it a folk remedy or a trick to get kids to rub pee on themselves? Maybe both. Jack Spaniards build nests out of paper, so they love dry spaces. They nest under awnings, in caves and in the shelter of large tree branches. They only sting when they are defending their nests, but their nests were everywhere. At least, until they weren’t. Even stinging things belong on St. Martin. After Hurricane Irma a few Jack Spaniards came to our hummingbird feeders, but within a week or two they were gone. I didn’t see one again for another year. 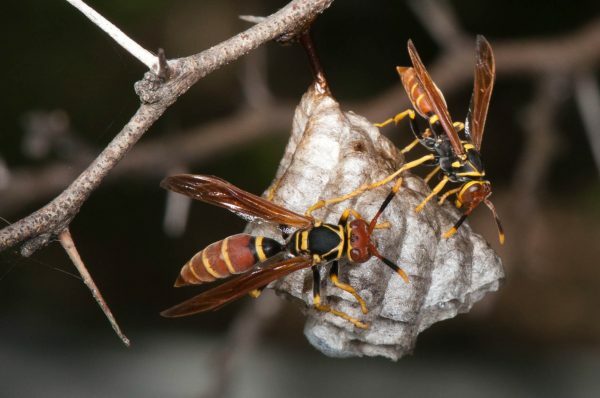 Of all the things that could have been wiped out by a hurricane, wasps weren’t on the top of my list. The disappearance of the Jack Spaniard did make sense. Wind would have destroyed most nests. 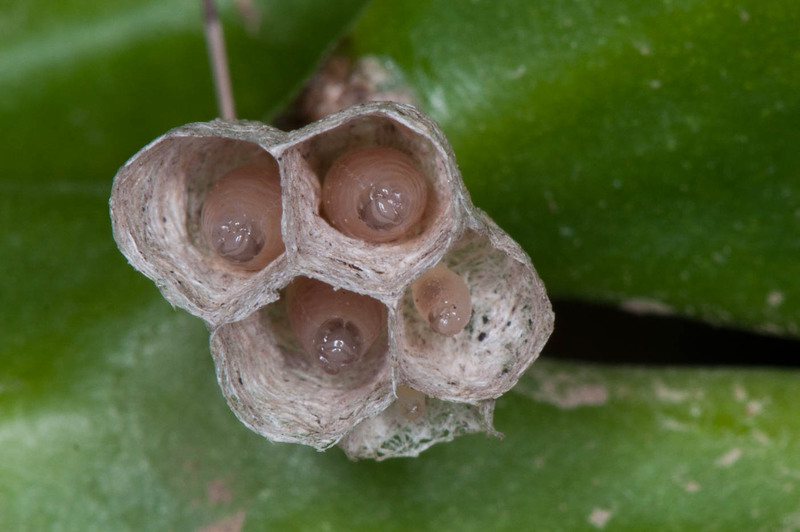 It also destroyed the flowers where adult wasps would feed on pollen. For the adults that did survive, it was probably hard to find caterpillars to feed to their young. Some did survive, but with dry weather last spring and summer, it took time for them to recover. The Jack Spaniard plays many roles in nature. 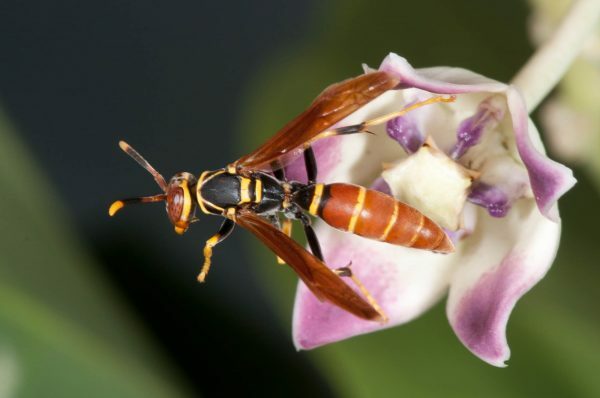 It pollinates flowers so plants can reproduce. It hunts caterpillars, keeping them from eating all the plants. When caterpillars ate every leaf from every Flamboyant tree on the island last year, the Jack Spaniard wasn’t there to bring balance by eating the caterpillars. The Jack Spaniard is also food for birds like the Gray Kingbird and Caribbean Elaenia. It’s a busy insect! Jack Spaniards care for their young. When I started seeing Jack Spaniards again in October, I was surprisingly happy. It was a sign that the island hadn’t changed completely. It was a reminder that natural recovery was still happening in subtle and unseen ways. When I spotted a new nest in December, I wasn’t overjoyed, but they do deserve their place on the island. Have you seen signs of nature’s recovery lately? Tell us by writing in to The Daily Herald or to info@lesfruitsdemer.com.